Saint Croix is one of Pirates world’s most popular play structures with many activities. 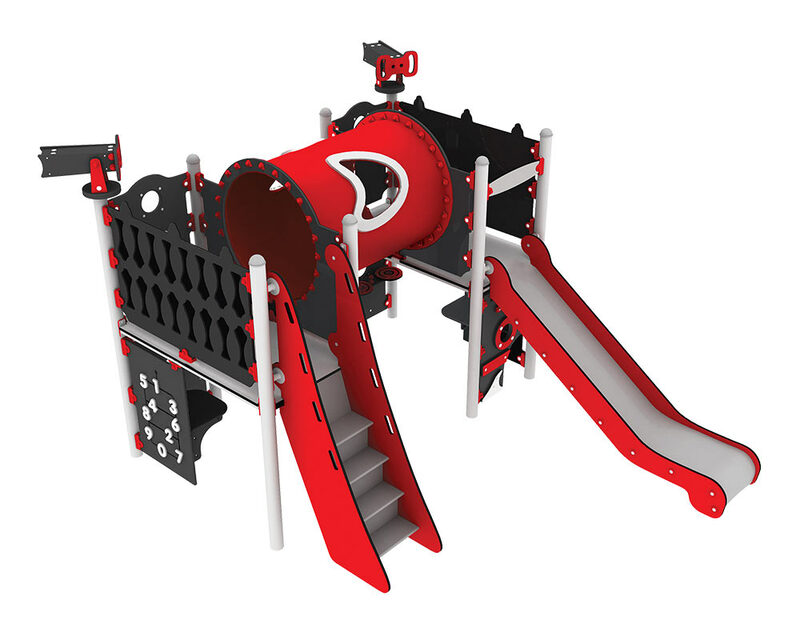 The children can play in the crawling tube with a window, keep an eye on the surroundings through the two telescopes or adjust movable parts in the machine room. Saint Croix offers many activities and room for 12 children. Please note how little space it requires.